Cate: Please welcome Robert Clark. Robert, will you please share a short bio with us? stay in Florida while she was getting her PhD and I was taking courses for fun and doing biological research we’ve always lived in Pennsylvania. I taught Biology, but after twenty years doing it reality begin to wear on me and I started writing fiction, still keeping my day job. No one who knew me seemed surprised when I became an author. Sixteen years later I left teaching, but I’m still out of prison and writing. Cate: Glad to hear it. :) Tell us about your latest release and where it's available. 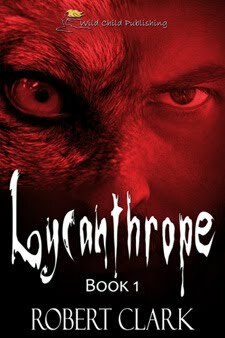 Robert: In October, 2010, Wild Child Publishing put out Lycanthrope Part 1. While I’ve had four other novels published, this is my first one released as an e-book. The book is available from the publisher and from Amazon.com. Robert: Excerpt from chapter 18: Conrad stumbled through the fog, hoping to make contact with his friends. At least Tom and Bill were well armed. If they were also lost in the fog and unable to see and support Ralph, Ralph was in more danger than he could possibly suspect. Conrad considered using the cell phone at his belt, but was afraid the ringing of the phone on someone else’s belt might give the location of one of his friends away at a time they didn’t want to be noticed. Calling the people in the woods or cabin wouldn’t help Ralph. He briefly considered yelling for his friends, but dismissed the idea almost as soon as it entered his mind. If he was going to worry about a cell phone ringing, he certainly wasn’t going to start shouting. There was too much chance of the police hearing him, and right now Conrad was almost as concerned with dodging the police as with finding his friends and destroying the werewolf. Robert: Discussions I remembered having in college. The people I hung with and I would sit around for hours talking about the “supernatural”, “Occult”, and “Paranormal”, frequently when we should have been studying. Most of us didn’t believe any of them existed, but were holding out some vestige of hope we were wrong. Werewolves were one of many things we talked about. The characters in the novel, however, bear little resemblance to the people I was friends with in college. They couldn’t. With my friends I’m afraid the puppy wouldn’t have lasted long enough to make much of a story. 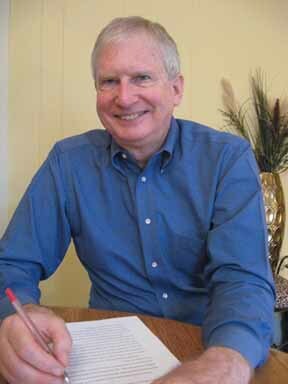 Robert: I start out with a brief outline and descriptions of what I think will be the main characters. As I write there are often major changes. Sometimes the book goes in a different direction than I first intended. People I originally considered major characters sometimes become secondary. The opposite is also true. In Lycanthrope I intended Detective Gree to be a minor, throw-away character, but he became pivotal to the story. on. That’s how minor characters become major ones and vice versa. I’ll be writing something and a character in my head will say, “Are you nuts? I’d never do that. I’d do this instead.” I listen to them and write what they tell me to. As for my dreams, nope. They stay with the book and otherwise leave me alone. Robert: More writing. 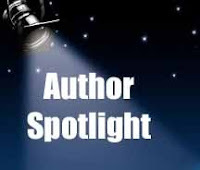 I have about a dozen books, all in the science fiction, horror, or fantasy genres, although I find the lines between those genres often blur in my novels, out to various publishers. I’m always working on at least two or three new books, three at the moment, two horror and one science fiction. My latest science fiction novel is taking the lion’s share of my time. Swordsman is a post apocalypse book spanning several hundred years and in excess of 800,000 words. Because of its size I’ve arbitrarily broken it into eight books. Right now I’m going over it to make sure the time lines work. It would be embarrassing to have a character appear before she was born, or someone reach a destination before starting the journey, and the book is complex enough, with a large enough cast of characters, that such a mistake would be possible if I’m not careful. Boringville are available from the publisher at www.publishamerica.com , from Amazon at www.amazon.com , and from Barnes and noble at www.barnes&noble.com. Robert: Most challenging? Time. There’s never enough. And getting published. Writing is much easier than getting published. Most Rewarding: Having people tell me they like the books, like something in them, or want a sequel. I’ve had several requests for a sequel to Boringville. I’ve never done a sequel before, but one of the books I’m working on is a sequel to Boringville. Robert: One reader told me he thought Bricks should be re-titled Dungeons and Dragons Meets the SWAT Team. I liked the idea, and it’s a good description of the book, but seemed a bit bulky for a title. Favorite books? Anything by Heinlein or Burroughs. Any Anita Blake novel. Any Diskworld novel. Dracula. Frankenstein. Anything by Gould or Darwin (I also enjoy reading biological journals). Atlas Shrugged. All the Flashman novels. The Demon Haunted World. I could probably come up with a couple dozen more authors and even more books without much trouble. What am I reading now? I’ve always got at least two or three going. Right now they’re No Greater Ally by Koskodan, White Witch Black Curse by Armstrong, and Harlequin by Hamilton. Also, a chapter at a time as he sends them to me, the yet unpublished Dying Day by Armand Rosamilia. Robert: I have a “group” on Facebook. Cate: Thanks for being my guest Robert! Best of luck with all your projects. You must be a very efficient writer, Robert, to have so many books completed and more in the works. Congratulations on your new release. Not so much efficient as persistant, Susan. I just keep at it. The reason I try to have two or more going at the same time is that I find it easier to catch my errors if I do a draft of something, let it sit while I do a draft of something else, than go back to look for typos or possible revisions.